Comcast and Time Warner Cable: Please approve our merger! 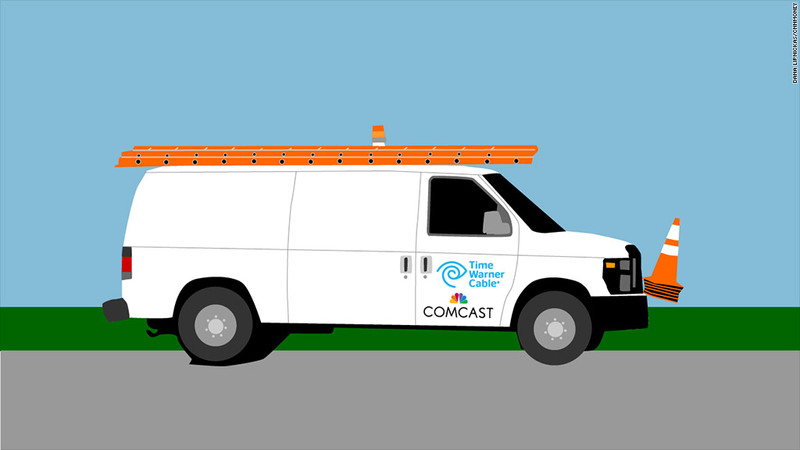 Comcast and Time Warner Cable are hoping the government won't throw up any roadblocks to their merger. Comcast and Time Warner Cable want to join forces. But first, they've got to win over Washington. The companies took a big step on that front Tuesday, filing a merger application with the Federal Communications Commission. On Wednesday, their representatives will appear before the Senate Judiciary Committee to plead their case. A chorus of commentators and non-profit groups have denounced the proposal since the firms first announced it in February, charging that it will further reduce competition in the cable and broadband industries. Comcast's executive vice president, David Cohen, hit back in a blog post Tuesday. He argued that the merger will lead to improvements in services for customers. And even though the combined company would have a presence in 19 of the top 20 U.S. markets, Cohen noted that Comcast (CMCSA) and Time Warner Cable (TWC) don't compete in any of those cities. So he argued that consumer choice won't be affected. If the deal is approved, the combined firm will be the country's dominant provider of television and Internet connections, reaching roughly one in three American homes. And the new company would have a nearly 40% share of the high-speed broadband Internet market, according to the Consumer Federation of America. "This merger is, at its core, about broadband, the most profitable and fastest-growing segment of the cable industry," several public-interest groups said Tuesday in an open letter to the FCC and the Justice Department. But Cohen noted that Comcast is already facing competition from a diverse group of technology companies, including Netflix (NFLX), Amazon (AMZN), Apple (AAPL) and Facebook (FB). "The traditional boundaries between media, communications, and technology are obsolete," he wrote, adding that the scale created by the merger will boost infrastructure investment and bring Comcast's faster Internet speeds to Time Warner Cable customers. While that may be true, consumer groups are still concerned about the power Comcast will have over other businesses. 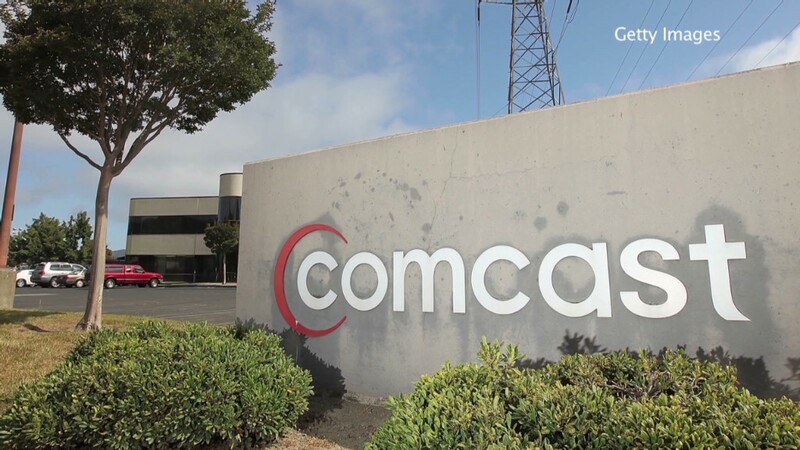 Earlier this year, Comcast caused a stir when it struck an agreement with Netflix in which the online video company reluctantly paid to connect directly to Comcast's network and boost lagging streaming speeds. So some worry that an even bigger Comcast will use its leverage to extract tolls from other content providers and degrade services from those that it competes against. Comcast owns many popular cable networks, such as USA and Bravo, thanks to its acquisition of NBC Universal. It's hard to say how regulators will come down on the matter. The Obama administration has a mixed record on antitrust issues, recently allowing American Airlines (AAL) and US Airways to merge with few concessions but stymieing the proposed tie-up of AT&T (T) and T-Mobile (TMUS) in 2011. Andy Hargreaves, an analyst with Pacific Crest Securities, said he thought the deal would be approved, given that it won't affect consumer choices for television or Internet service in the immediate term. Most Americans already have few options when it comes to high-speed Internet, particularly when it comes bundled with TV. "High-quality broadband is already a near-monopoly in most of the country," Hargreaves said. "This deal is highlighting that lack of competition, but it doesn't actually change it."